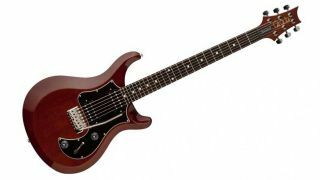 Musician's Friend is living up to its name with a great new deal on the American-made PRS S2 Standard 24, the stripped-back counterpart to the PRS Custom 24. Right now, you can save $300 on the beautiful six-string, its asking price having been lowered from $1,249 to $949. A pair of coil-splittable S2 HFS humbuckers provide tonal flexibility, while PRS’s Pattern regular neck and mahogany body will appeal to a wide range of guitarists.